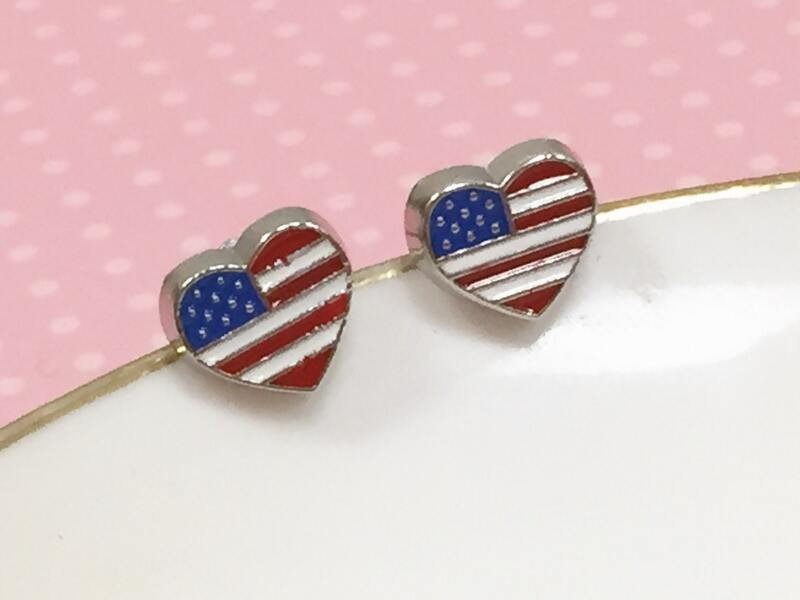 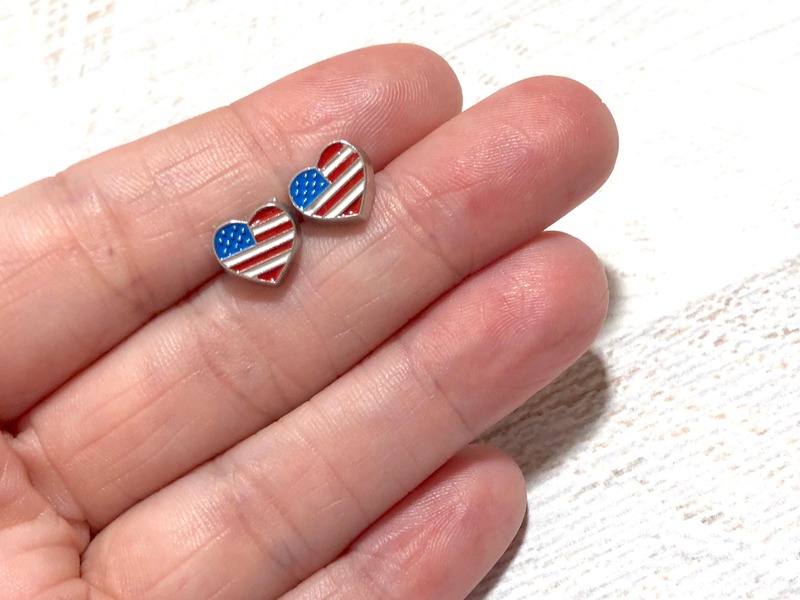 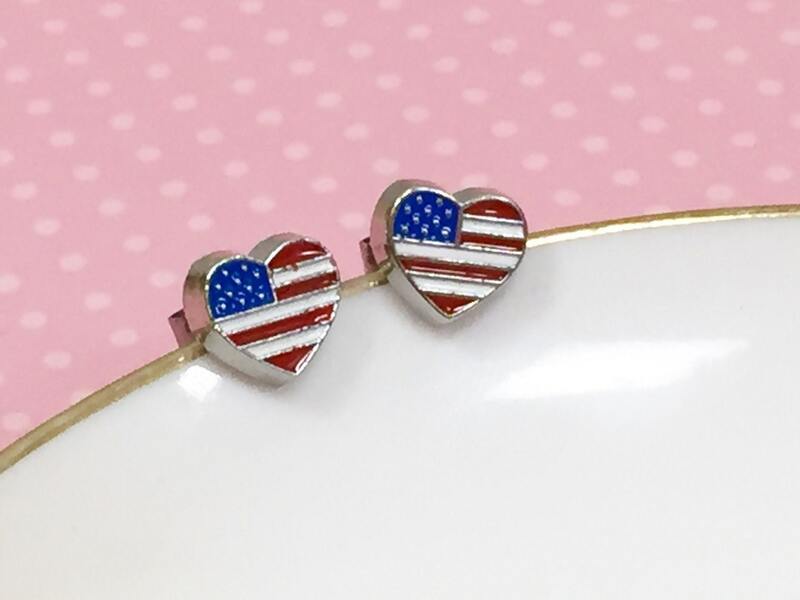 I'm an Army mom so I sort of an enamored with anything USA pride & these enameled metal heart findings with the United States flag in them just make me happy. 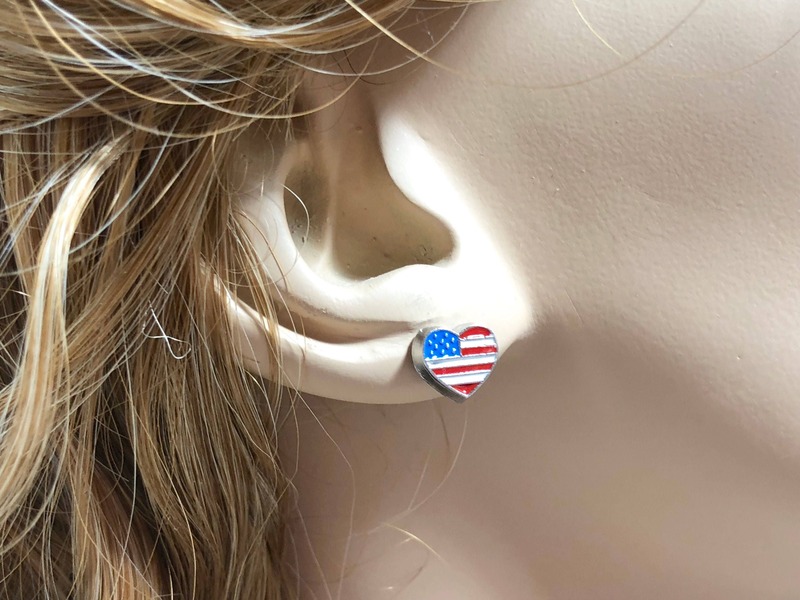 The base metal is nickel and lead free & I used surgical stainless steel ear studs for sensitive ears. 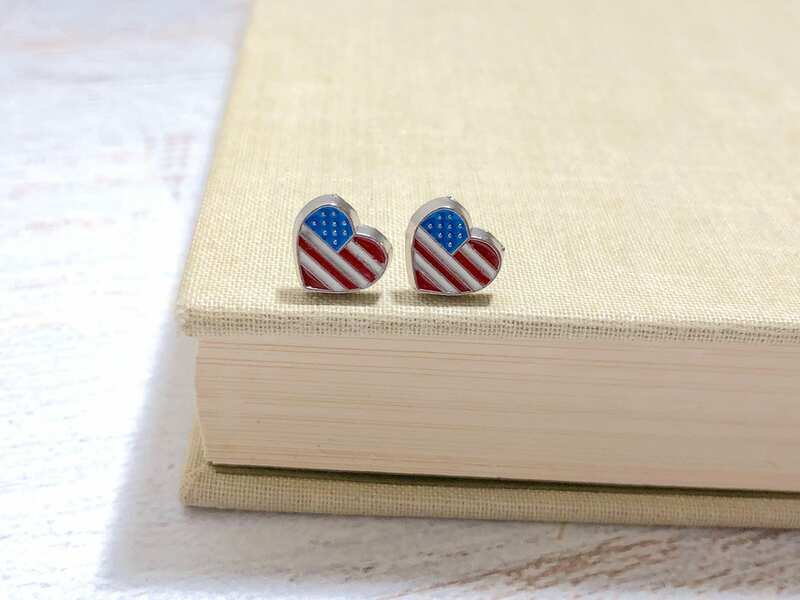 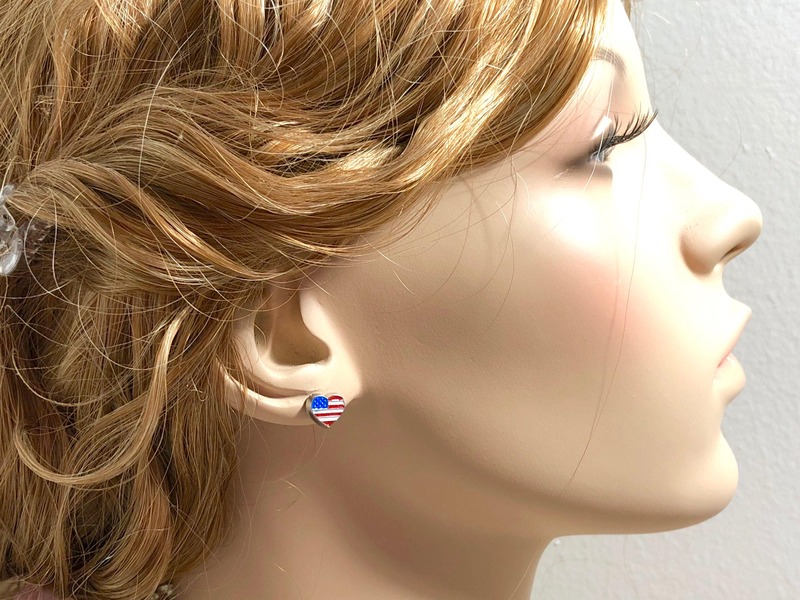 These little patriotic lovelies measure just shy of 3/8 inches (9 mm).